The photos were picked up by numerous sports news outlets in Europe and have been doing the rounds on social media for about a week. 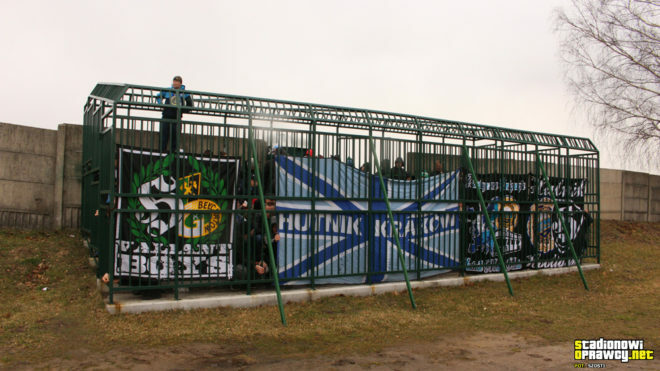 They show Hutnik’s ardent supporters struggling to follow the action on the pitch from behind the thick metal bars, with some climbing the structure to get a better view. 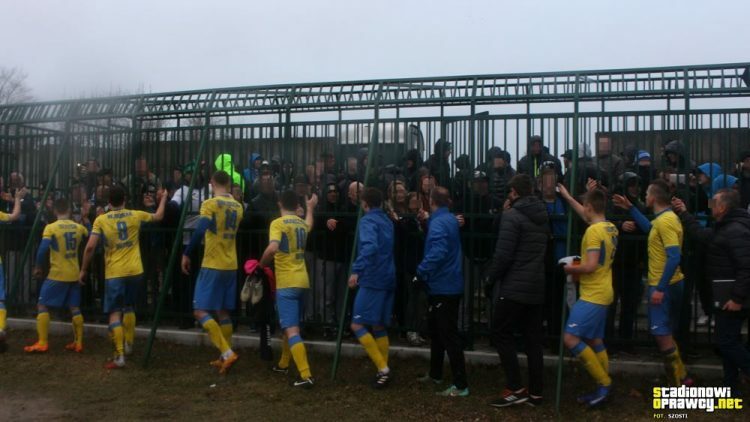 One photo also shows Hutnik players coming over to the cage to shake their fans’ hands through the metal bars and celebrate their 1-0 victory over Spartakus. UK-based independent football news site WhoAteThePie called the cage the “grimmest away section imaginable”, while some fans of Irish club Cardiff City said it reminded them of the conditions in which fans of rival clubs were confined to during the 1980s. Inspired by the outrage expressed online, Artur Trębacz, president of Hutnik Krakow, sent a letter to the Security Committee of the Polish Football Association, decrying the way his team’s supporters were treated by Spartakus Daleszyce and comparing the cage to a zoo for wild animals. Representatives of the opposing team quickly responded, saying that they have been playing in the third division for a long time, but so far no visiting team had complained about the cage.